Or the uncanny way in which Benedict Arnold's planned betrayal of West Point was discovered. How did past civilizations rise and fall? How rare is America's experiment with a republic? With every crisis, is power being taken away from "the people" and transferred to the central government? Does history give us a clue as to where all this is headed? George Washington warned in his Farewell Address, 1796: "Disorders and miseries...gradually incline the minds of men to seek security and repose in the absolute power of an Individual...[who] turns this disposition to the purposes of his own elevation, on the ruins of Public...and thus to create, whatever the form of government, a real despotism." Ronald Reagan stated at St. John's University, NY, March 28, 1985: "Government that is big enough to give you everything you want is more likely to simply take everything you've got." Woodrow Wilson warned in New York, 1912: "The history of Liberty is a history of limitations of governmental power, not the increase of it. When we resist, therefore, the concentration of power, we are resisting the powers of death, because concentration of power is what always precedes the destruction of human liberties." In the nearly 6,000 years of recorded human history, power, like gravity, seems to inevitably concentrate into the hands of one individual, sometimes called pharoah, caesar, czar, kaiser, king, emperor, monarch, sultan, president or communist dictator. No matter what the autocratic leader's particular title is, the default setting for human government throughout history has most often been monarchy. When power is concentrated, the State is supreme. When power is separated, the individual is supreme. 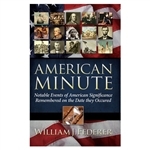 America's founders had a unique window of opportunity in the long train of world history, to maximize the freedom and opportunity of the individual. Ronald Reagan stated in 1961: "In this country of ours took place the greatest revolution that has ever taken place in the world's history...Every other revolution simply exchanged one set of rulers for another." Is past behavior the best indicator of future performance? What can we expect? Find out as world history comes alive from a whole new perspective in "Change to Chains - the 6000 year quest for control - Volume I: Rise of the Republic." Before you answer, do you know what the most common form of government in world history? 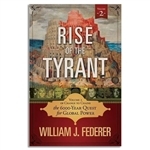 From the invention of writing around 3,300 BC, the world has mostly been ruled by kings. Though called by different names: Pharaohs, Chieftains, Emperors, Caesars, Sultans, Khans, Maharajas, Monarchs, and Dictators, they act the same. Power, like gravity, concentrates into the hand of one person, who rewards his friends and punishes his enemies. In Socialist and Communist countries, too, though professing equality, they inevitably end up being ruled by dictators. The King of England was the most powerful king the planet had seen. When Americans got the chance, they set up a government as far from a king as possible. They flipped it and put the people in charge. Did this influence colonial pastors who founded New England? What ingredients are needed for a nation to function without a king? Is the God of Bible an integral part? Are these tactics being used in America today? -Identify racial & class fault lines running through society. -Fan real or perceived injustices into flames, creating tension & unrest. -When domestic violence erupts, everyone is so desperate to have order restored they relinquish freedoms to the state. How is domestic unrest created? Agitators, labor organizers, community organizers, agent provocateurs [provoking agents]. "In Chicago, there was an old tradition of throwing a brick through your own campaign office window, and then calling a press conference to say that you've been attacked." Forty-five countries fell to communist dictators this way. "Crisis alone permitted the authorities to demand – and obtain – total submission and all necessary sacrifices from its citizens." Discover the keys to defeating these tactics and preserving the freedoms of America's republic! 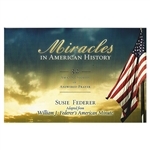 The surprising answers, and more, are in the book "Who is the King in America? 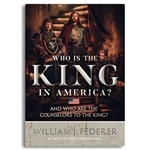 And Who are the Counselors to the King?-An Overview of 6,000 Years of History & Why America is Unique." From the invention of writing around 3,300 BC, the world has been ruled by Pharaohs, Chieftans, Emperors, Caesars, Sultans, Khans, Maharajas, Monarchs. Power, like gravity, concentrates into the hand of one person, who rewards his friends and punishes his enemies. Socialist and Communist countries, too, though professing equality, inevitably end up being ruled by dictators. The King of England was the most powerful king the planet had seen. When Americans got the chance, they set up a government that was as far away from a king as possible. Flipping it, they put the people in charge. A "republic" is where the people are king, ruling through their representatives. The Constitution, in effect, is a collection of hurdles to prevent power from snapping back into the hands of a king. Where did they get these ideas? Notable sources are: England's Magna Carta; the Roman Republic; the Athenian Democracy; and ultimately, Ancient Israel. Ancient Israel, during its initial 400 years out of Egypt, was the first well-recorded instance of an entire nation ruled without a king. Were colonial pastors who founded New England influenced by Ancient Israel? You will be surprised to learn the role pastors played in America's new system? What ingredients are needed for a nation to function without a king? Is the God of Bible a necessary part? What is the difference between a democracy and a republic. How did past democracies and republics rise and fall? Did political strategists develop tactics to help them fall? Who were: Machiavelli, Robespierre, Hegel, Marx and Alinsky? Are their tactics being used in America today? What is the relationship between Islamists and LGBT activists? The surprising answers to these questions, and more, can be found in "Who is the King in America? 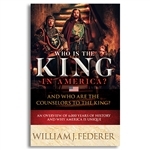 And Who are the Counselors to the King?-An Overview of 6,000 Years of History & Why America is Unique."